This year’s edition has mixed things up from previous years. 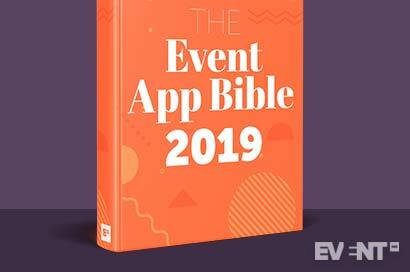 Event Manager Blog's research is based on their experience with thousands of event professionals offering their insights, an independent analysis of 350 event app implementations across different industries from different suppliers, and interviews with lead tech founders. Given that an estimated 30-50% of the population are introverts, relying on outdated and inefficient Q&A solutions such as roving mics are syphoning off a decent wedge of your attendees' opinions. Utilising a Q&A solution is, therefore, a must-have. It can have a large impact on the overall experience of the audience. By not having a Q&A solution, you’re not providing a platform for those who are uncomfortable taking a mic and asking a question in front of hundreds of people. These attendees will not enjoy the event experience and will be less likely to attend future events and recommend colleagues go. 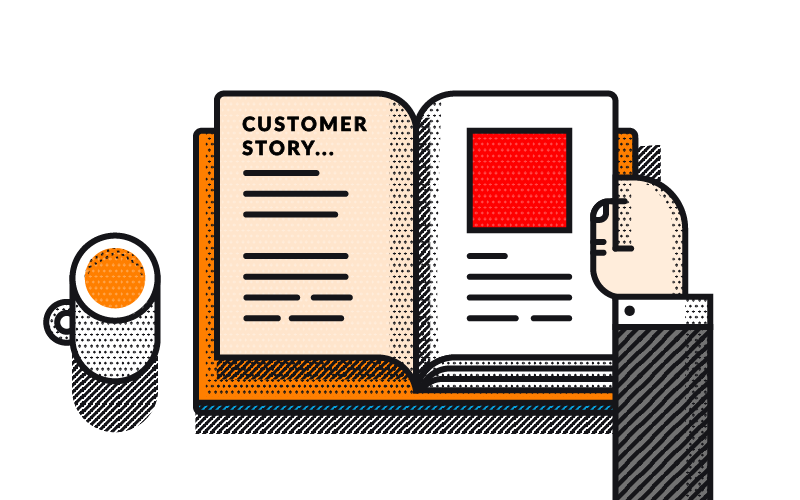 Another benefit of having a Q&A solution is it helps keep the content on message in terms of what the audience wants to hear. By making audience members’ questions available to view and upvote, you’re democratising questions. The more upvote a question gets, the more people want to hear the answer, the better engaged the audience will be and finally the better the data collected will be. Events are fantastic occasions to gather a large amount of data from a varied sample within one location. This is a rare opportunity, so event organisers need to use it to their advantage. Boosting engagement and interactivity is more important than ever. Polling was in the top three most popular features across all industries. Polling was especially popular in industries with events where content is data-driven and heavy in nature; typically finance and pharma. By integrating polling at these events, organisers are able to keep content engaging and stimulating, whilst gathering audience insights that can be used to shape future event content. The events industry in the UK is worth £42.3 billion to the economy. That’s staggering. Companies spend a lot on events with on average 25% of the marketing budget being spent on events. Moreover, two-thirds of marketers plan to increase spending on live events in 2019. But with large amounts of money being spent on events, organisers and marketers want to ensure they are worth it. 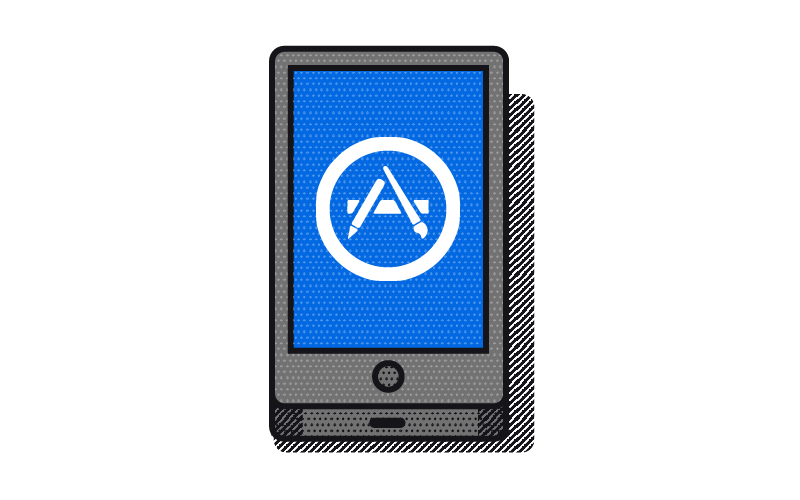 Event apps are crucial to this. 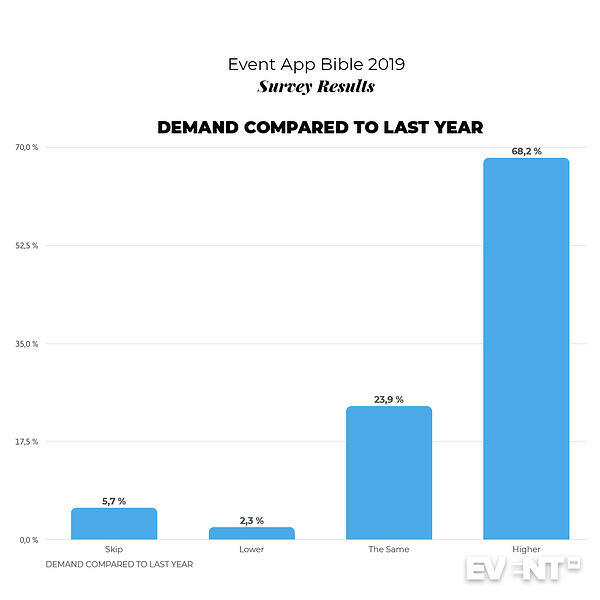 This is evident from the 350 event apps surveyed, 68% said demand in the event app space is higher than it was the year before. Event apps should do two things very well; boost audience engagement and participation, and provide you with rich insightful analytics. From there, event organisers and marketers will be able to truly ascertain their event ROI.